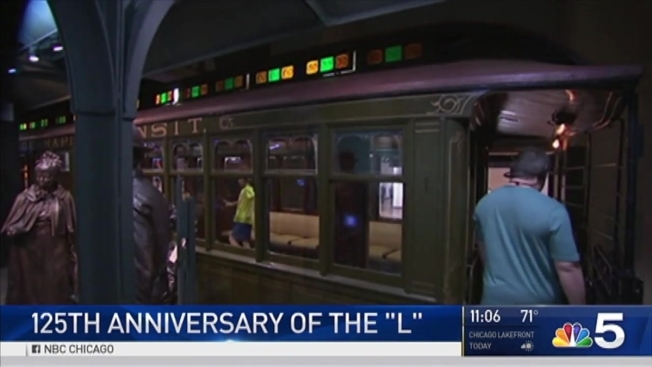 Chicago and city officials are celebrating the 125th anniversary of the city's historic “L” elevated train system Tuesday. Susan Carlson reports. As Chicago celebrated the 125th anniversary of the city’s historic “L” elevated train system, riders might notice an unusual sight on the tracks Tuesday. In celebration of the milestone, the Chicago Transit Authority will offer rides on two historic trains from the agency’s Heritage Fleet, which were built in 1923 and 1976. The trains will run on Loop “L” tracks between noon and 3:15 p.m. Tuesday, the transit agency said. Opened on June 6, 1892, the “L” is considered one of Chicago’s most iconic symbols.